JP college of arts and science, Thirunelveli, is under the Grace Swaminathan educational and charitable trust. 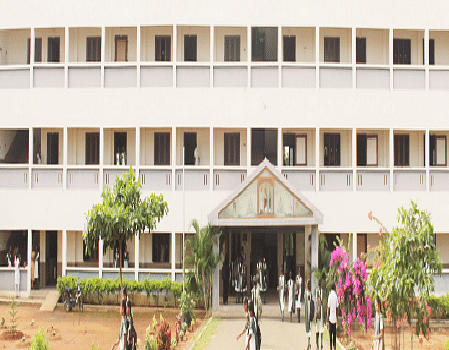 It is a co-educational institution that is affiliated with Manonmanium Sundaranar University. The college empowers youth through quality based education. They equip the students with high quality of teaching in order to meet the challenges of the competitive world. The college offers a clean and peaceful environment for the students to focus on their studies. Well equipped labs and classrooms are built for comfort of the young minds. Why to Join JP College of Arts and Science, Thirunelveli? Placement: The college ensures that all the students are placed with leading companies of their desired core destination. They endeavour in providing meaningful education to the students and give them the best knowledge required to meet the requirements of the developing industries. Students are trained in soft skills, training programs, aptitude tests and other activities that give them an additional knowledge. Hostel facilities: Boys and girls are provided with separate hostels with all facilities such as internet connection, television, ventilated rooms, medical facilities, full day water service and hygienic food provisions. Hostel is under the control of principal’s head with home tutors. Departments offered: The College offers various streams in arts and science like computer science, English, economics, electronics and communication, business administration, information technology and commerce.